Merriweather Park at Symphony Woods, located in the heart of Columbia, Maryland, has long served the region with the Merriweather Post Pavilion and park grounds. The Inner Arbor Trust, who oversees the park, believed there was more potential and established a goal of making the park an arts and cultural destination where the landscape itself will become the setting for arts, culture and civic uses. 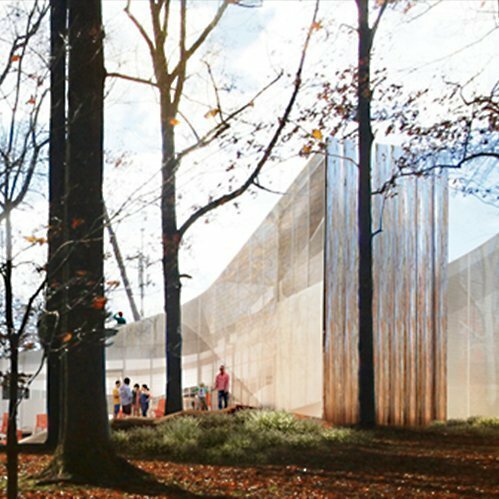 In addition to theatrical venues, the park will offer a canopy tree line walkway, sculpture and botanical gardens, unique park picnic areas and children’s fountains, interpretive venues and artist studios, new dining opportunities and event space for social and corporate gatherings.